It’s early morning and I’m travelling on the DLR to London City Airport and having a panic attack. Lost in my novel, I had looked up to check where I was and suddenly realised I had no luggage with me. That second of incomprehension was holding hands with another thought, that I had left it all behind. Then reality sets in and I remember it is already at the airport; AirtPortr had collected it from my home the night before. Feeling very decadent, I stroll past lines of bag weary travellers waiting for lift access at London City station. A tiny lady hidden behind a mountain of family luggage is trying to get her trolley in front of the lift doors, and felling like the good Samaritan, I help her out. I’m feeling very righteous as well as decadent now, so I treat myself to an early morning coffee before stopping off at the AirPortr stand to collect my waiting luggage. And there are my bags, waiting for me like old friends. I provide proof of my identify, and we’re reunited once more, albeit briefly, as I way goodbye at check in. 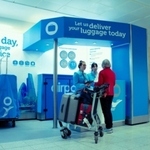 AirPortr is a luggage collection service with responsibility. Clearly, the biggest challenge is to convince us our bags will be thoroughly secure, after all, handing them over to a total stranger can be a little daunting. The secret is in the tagging. I had arranged for collection at my home at 4pm and exactly on time, an AirPortr representative arrived armed with uniquely numbered and GPS fitted security tags. It also helps AirPortr insures each booking for up to £10,000. It took him less than two minutes to thread the tags through my bag locks and make them secure. “you can now track your luggage at all times sir” he confidently announced and with a flourish of a signature, he was gone. And so was my luggage. I felt momentary grief, staring at the empty space where my luggage used to be and then, like grease lightening, hastened to track my charges online. It was comforting to follow their journey too. I have to confess I had a little heartbeat skip as I saw confirmation they had arrived at London City safe and sound. Travelling can be a stressful business and not having to worry about hauling luggage around does ease the pressure considerably. I found the whole experience worked perfectly for me and at just £30 for 2 bags one way whatever their size and weight it isn’t a great deal more on the cost of a trip in my opinion. You can also use the service to deliver your bags home too. 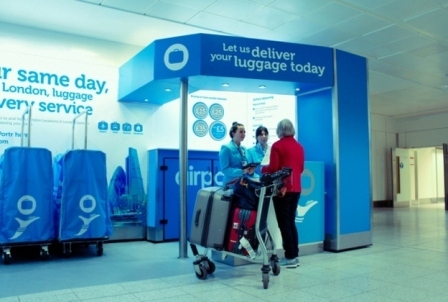 The AirPortr luggage service currently operates at London City and Gatwick South Terminal ( the North Terminal service begins early 2016) and services the greater London area and Sussex and is fully endorsed by both airports. AirPortr was set up in 2012 by three frustrated frequent flyers who met through coincidence, perhaps on the platform at Gatwick? Now perhaps the only thing they need to improve is helping us to remember we have no bags with us on our journey to the airport. What does the Airportr service cost? 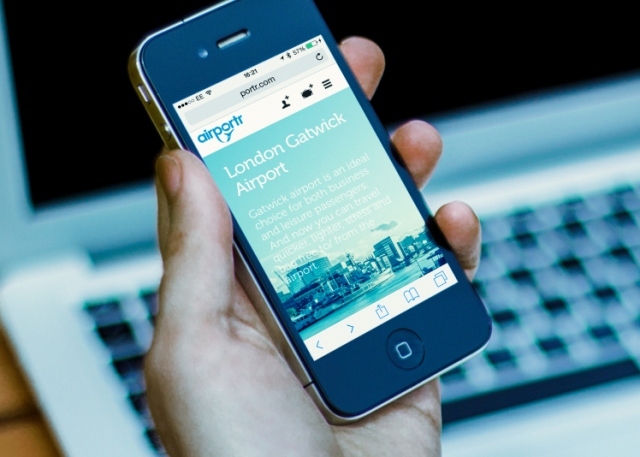 The AirPortr service currently services Gatwick and London City airports. £10,000 loss or damage cover on each booking.